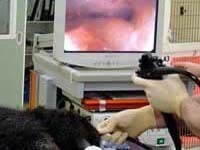 The difference between veterinary and human oncology lies in the philosophy of treatment. 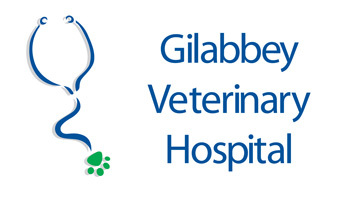 At Gilabbey, we place the ultimate emphasis on quality of life with a very strong secondary emphasis on trying to “cure’ your pet of his or her disease. Our goal is to insure that your pet has the best quality of life for the longest possible time. There may be some toxic side effects to chemotherapy, but our goal is to make sure that your pet enjoys his or her life for as long as it is viable. 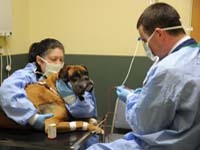 We are here to guide you in your decision-making, so that the best treatment options are given to you and your pet. Conversely, we still do everything possible to give your pet the longest achievable survival time. The recommendations of the vets at Gilabbey reflect a balance between quality and quantity of life. 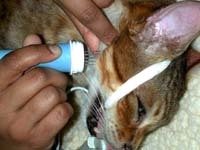 And know that we are always searching for better ways to treat your pet in order to maximize both the quality and quantity of your pet’s life. Depending upon the grade, stage and type of cancer, we will recommend one or a combination of treatment options. Multiple treatment options that combine surgery, radiation and chemotherapy are the rule rather than the exception. This is because the treatment of cancer in animals has become as sophisticated and successful as the treatment of cancer in humans. We are currently supporting the investigation and treatment of some luminal tumours in conjunction with Cork Cancer Research Centre using electrochemotherapy. This method of treatment has no impact on surrounding tissues and targets cancer cells.